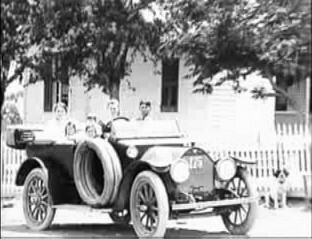 The Marek families grew up about 130 miles west of Houston in a small town called Yoakum, TX, which was pretty much a farming community. The Great Depression during the 1930s was very tough times for people and farm crops lost a lot of their luster. Farmers were at the mercy of supply and demand and not getting much for their cash crops, they hesitantly gave up farming. With the depression lingering on and the drought becoming severe, farmers had to kill off their livestock. The Great Depression had a lasting impact on the minds of people who lived through it and that impact stayed with them throughout their lives. Little money was to be had at the time and along with very few jobs around; there was not much to keep people around. Average salary in those days was $1,368 and unemployment got up to 25%, although it varied from state to state, but that was not the case in the hard hit farming community of Yoakum. The Marek brothers John L, Bill, and Ralph grew up on a farm with their parents, John and Hermina until 1932 when they lost the farm to foreclosure. Their grandparents, Joseph and Annie Marek had emigrated from Czechoslovakia. Because of the depression, most people had very little money and most lived in extreme poverty. By 1938, America had been in the throes of the Great Depression for nine long years. President Franklin Delano Roosevelt who put in place the Civilian Conservation Corp (CCC) to get the economy back on its feet and create jobs. Minimum wage was 25 cents an hour and most Americans were glad to get it. Germany also invaded Czechoslovakia during this time and people talked nervously of the possibility of war. In addition, Orson Welles terrified half the nation with his too realistic radio drama, “War of the Worlds”, but little did he know how popular it was to become. With little to keep John L. in Yoakum, being 18 and only 50 cents in his pocket, he headed off to Houston, TX. In 1938, Houston was the largest city in Texas with a population of 380,000 and was a very robust place with lots to offer any young man. John stayed with his uncle and aunt, the Hattenbachs. His aunt introduced John to Robert Cerni, who was in the drywall business and he took John on as a drywall apprentice. John got paid 25 cents an hour and even by depression standards, that was extremely low. John was able to send some money home and still save some. With John’s hard work ethics and his ambition to achieve more, he eventually went out on his own. He knew he could do better with a booming economy in the Houston area. John L. met up with a drywall sales representative, John Macy, who gave him the names of builders that he sold drywall to. John then contacted them to install the drywall. John L. also met up with another drywall installer, Alvin Horsica, who became a close associate and business confidant. As time went on, the business grew and John L. needed more hard workers he could depend on. He convinced his two brothers, Bill and Ralph, to join him in the business. Bill joined around the end of 1940 and Ralph joined about a year later. Since drywall was a new product at the time, few workers were skilled in doing that kind of work. With dependable workers hard to come by in Houston, the brothers called on cousins in Yoakum to work for them. It really became a family business with relatives working for them who were all very dedicated workers and not afraid of hard work and long hours. Those who grew up on farms in small communities made for loyal, religious, and hard working people. In 1938, gypsum wallboard products was becoming a popular way of finishing the interiors of houses. John hung his first “rock” that year and saw firsthand how this product would change interior construction forever. Soon, with brothers, Bill and Ralph, they formed a company and called it Marek Brothers Sheetrock. When John L. could save enough money, he bought a home and a five-acre tract of land off Blue Bell Road in Northwest Houston. The brothers were finally able to move out of their Aunt Janie’s house into their own home and convinced their parents to live with them in Houston. They eventually built a home for their parents out of used material they collected over time on their property.